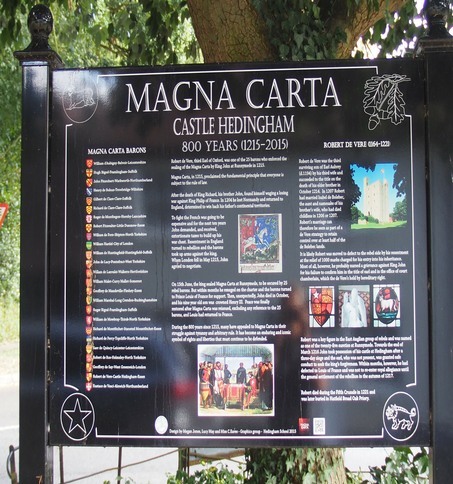 The Hedingham Heritage Society was responsible for the organisation and creation of a history of the Magna Carta exhibition, celebrating the involvement of Robert de Vere of Castle Hedingham, one of the twelve Barons who added their seal to the original Magna Carta. The exhibition is currently on display at the Saffron Walden museum, and in April 2017 will move to Braintree Museum. 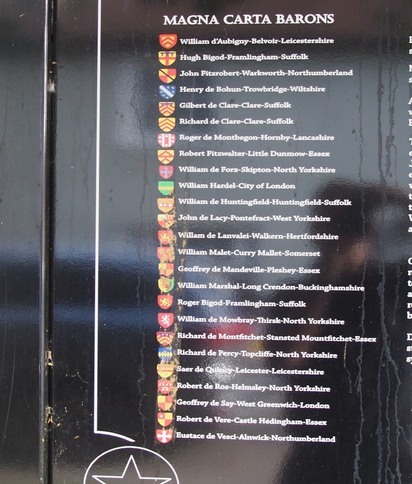 The photos below are of a permanent information board on Forge Green, St James Street, Castle Hedingham.